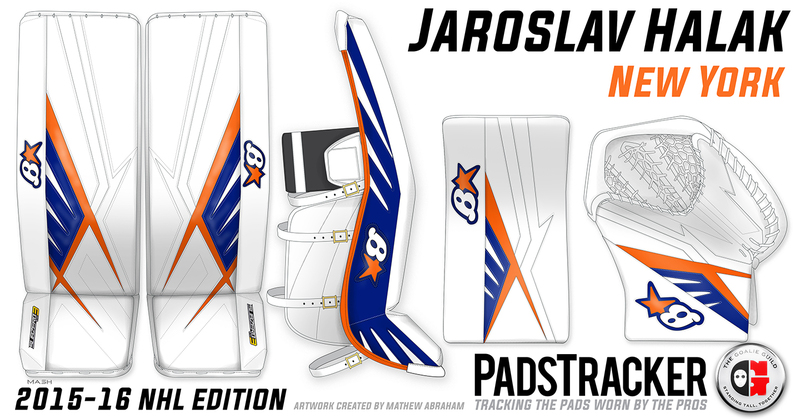 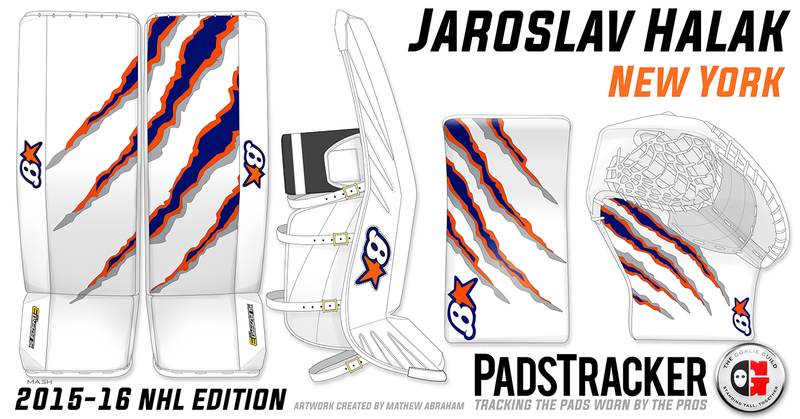 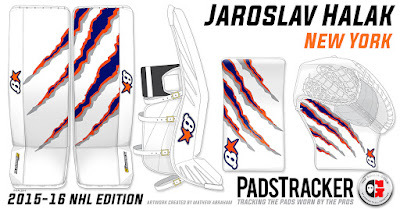 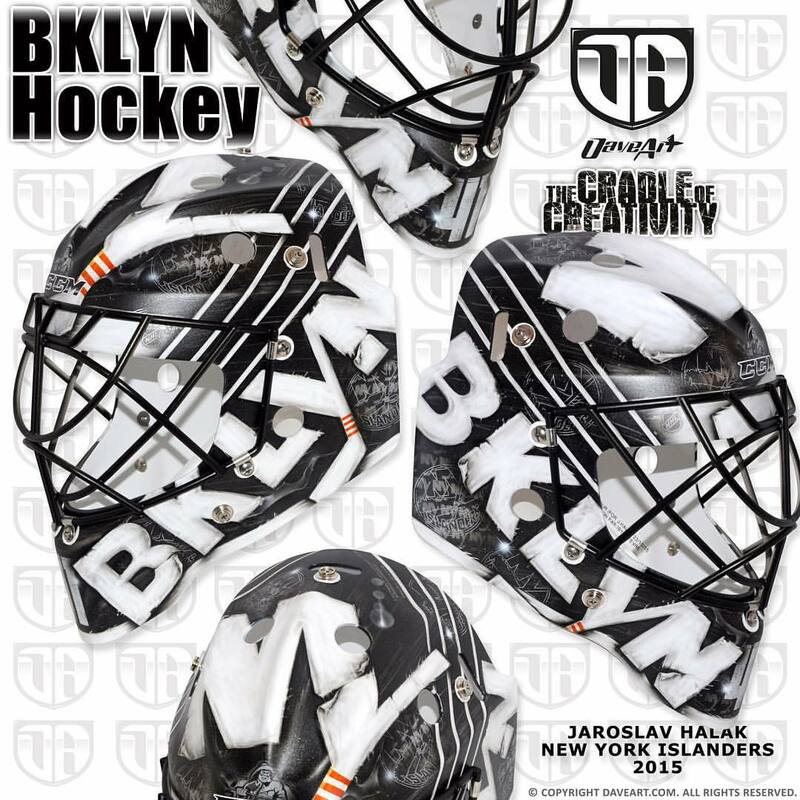 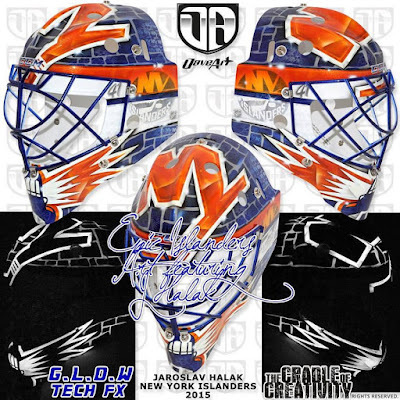 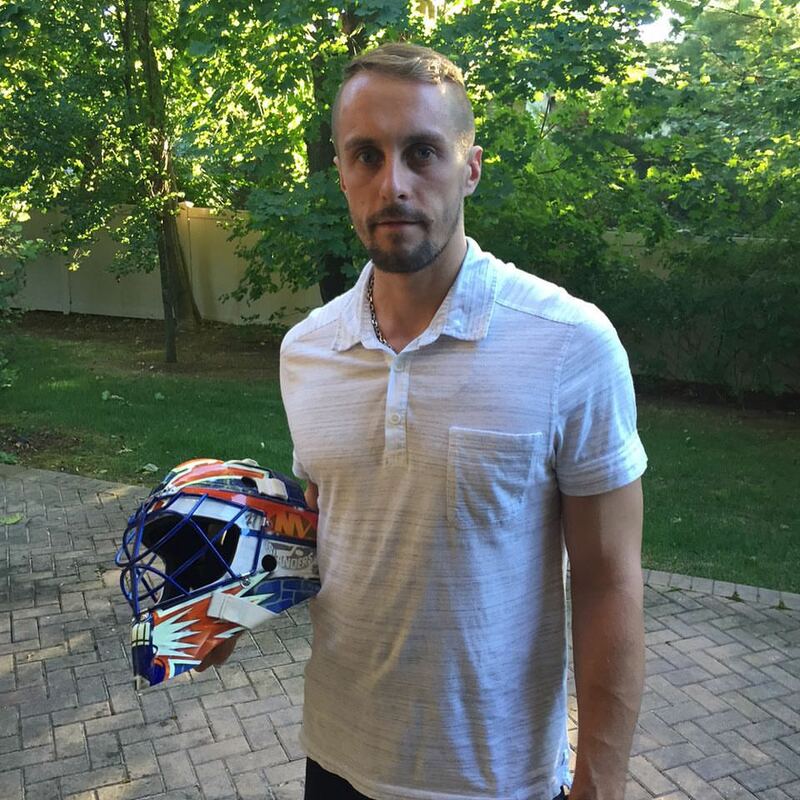 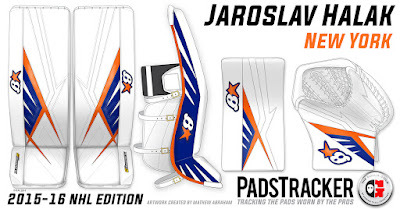 Below is Halak's mask to be worn with their 3rd jerseys. 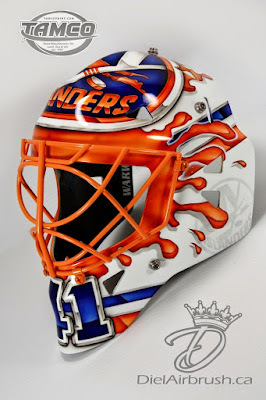 David Gunnarsson is also the artist of this mask. 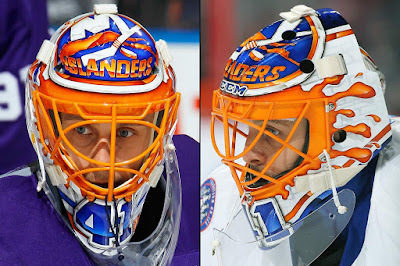 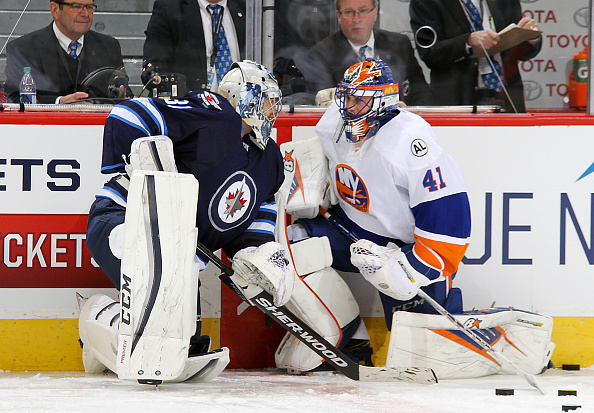 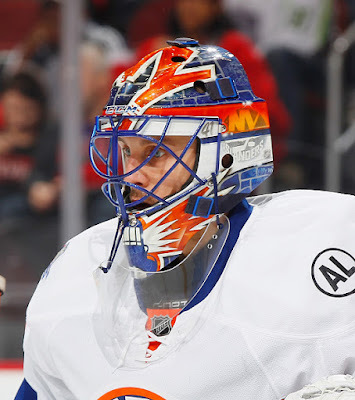 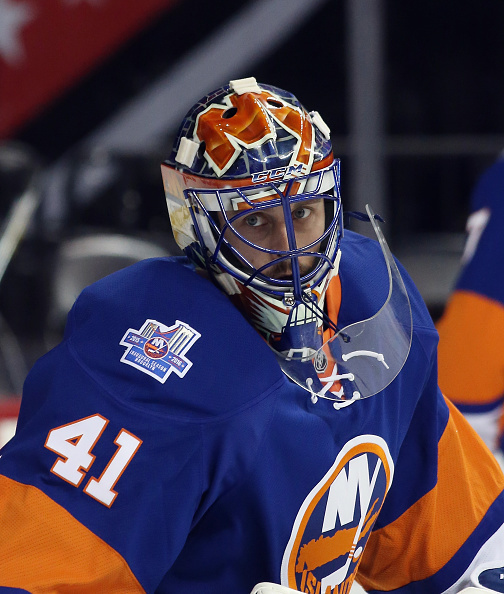 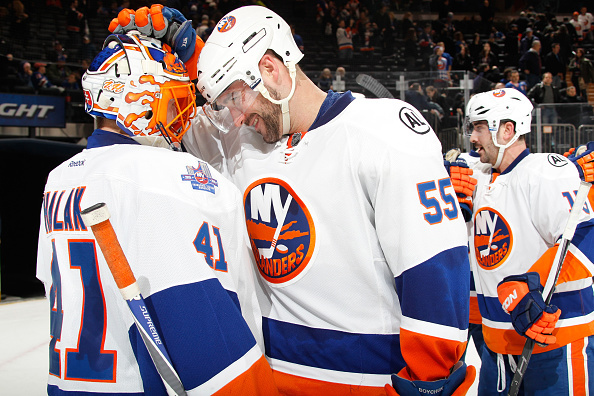 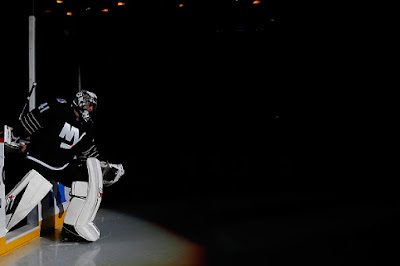 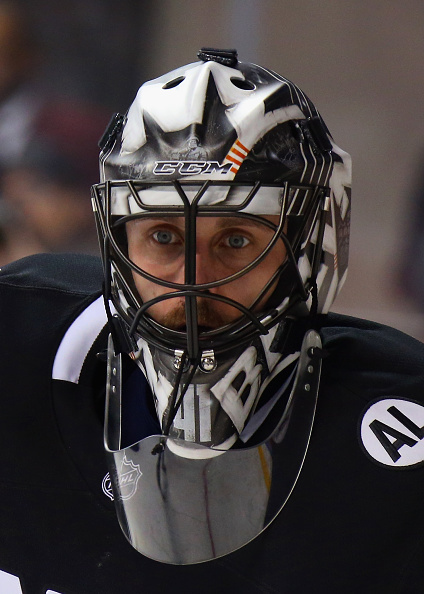 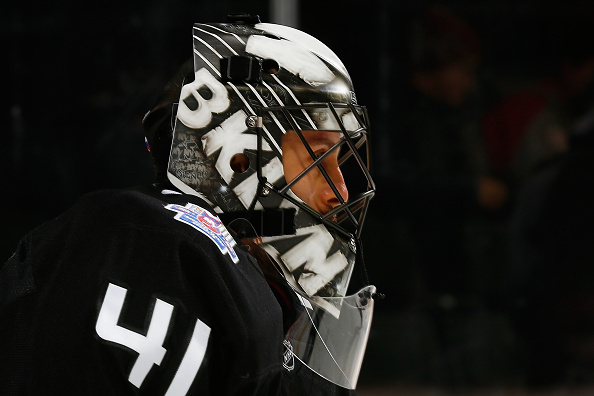 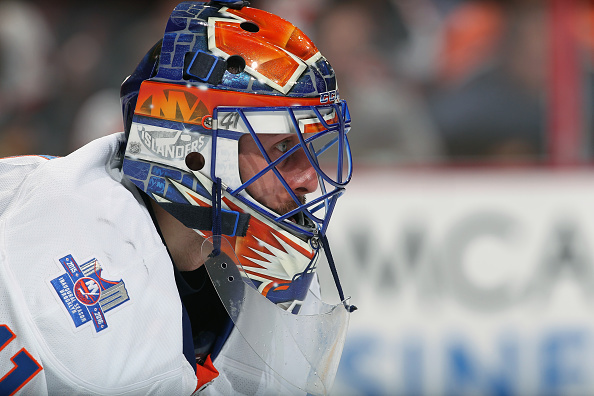 Beginning in late February Halak began wearing one of his masks from last year. 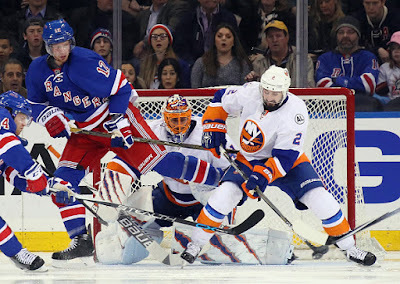 This photo is from March 6th. 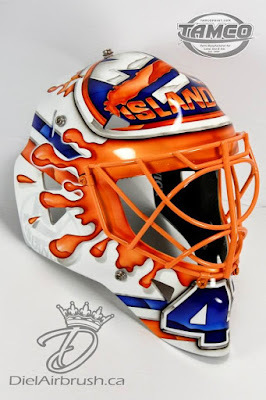 And I saw earlier photos with him wearing this mask. 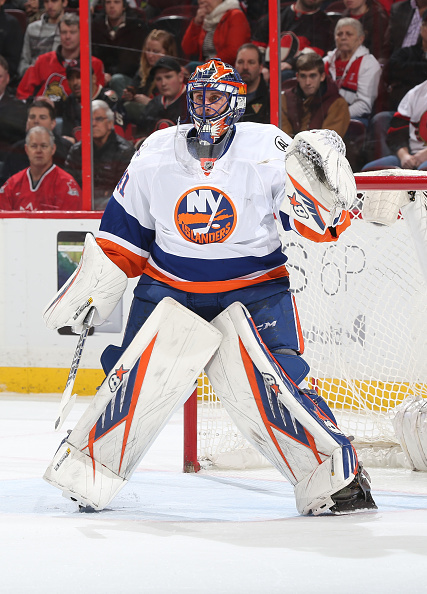 Also in early March he started using a new setup. You can barely see through the traffic here. 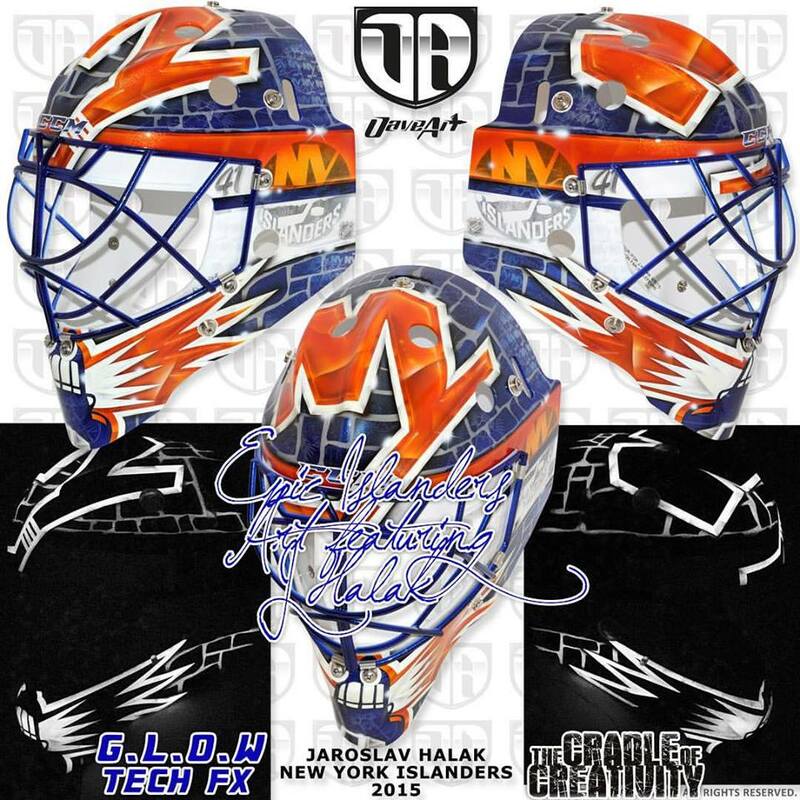 Starting on 2/19/2016, Halak wore his 3rd (and unused) mask from last season (seen here: http://dielairbrush.ca/wp-content/uploads/2015/01/halak-1.jpg); and starting on 3/6/2016, he wore Sub-Zero 3 versions of his setup from last year. 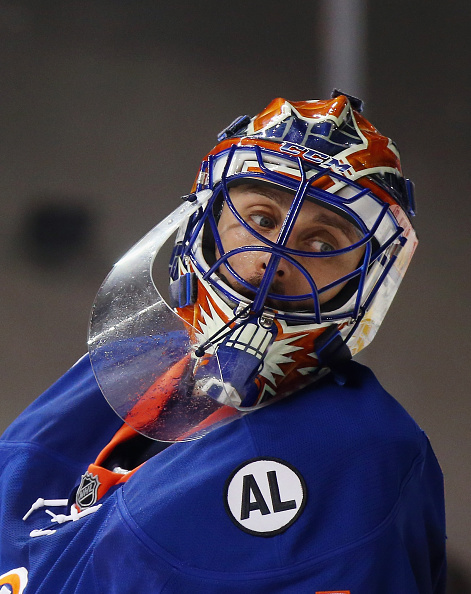 Both can be proven via GettyImages (thanks to them for all the photos, too).